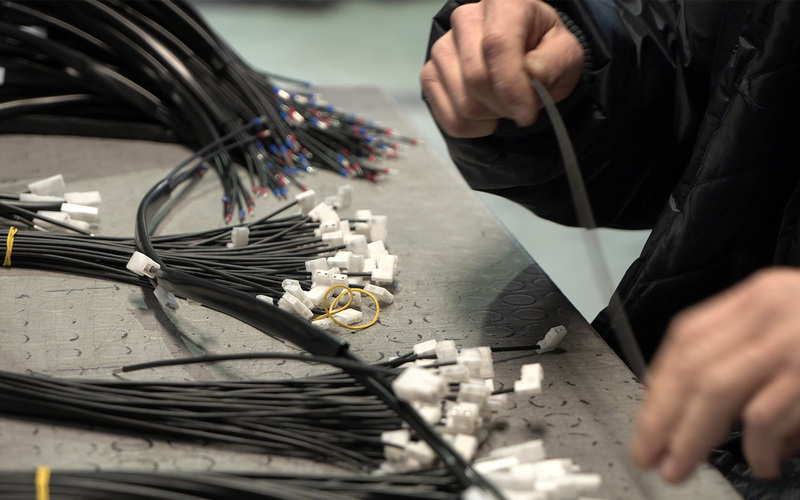 The ATS Elettronica production process is conducted in accordance with the quality procedures and in respect of the environment, as well as the current legislation on the health and safety of workers. electronic and functional final testing for different types of manufactured devices. 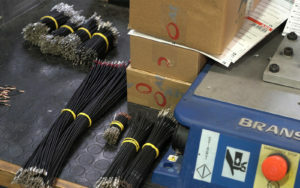 The first phase of our production process is the automatic processing of electrical cables, of several sections, cut to specific measures and provided with metal contacts and multi-pin connectors. In order to expand the range of products and services offered, the company has gradually added new machines that make the work cycles faster and reliable. 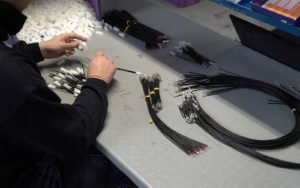 In a second phase, our technicians become involved to manually or semi-automatically assemble the components, and electrical and electronic systems that cannot be entrusted to a simple machine. 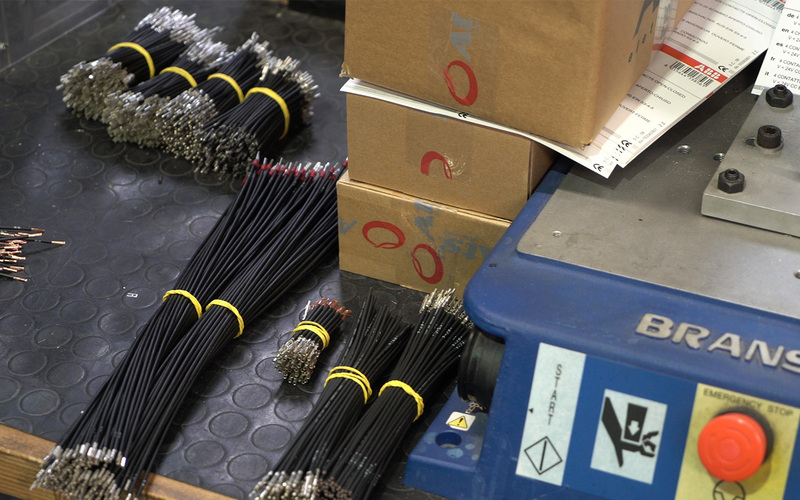 ATS manages the supply cycle and processing of more than 100 types of wire harnesses for low and medium voltage. The final part of the process is to verify, through automatic counters and specialized operators, that the products meet the quality standard requirements and that they have the functional characteristics that comply with the demands of the customer. All measuring instruments are subjected to regular testing and calibration at SIT centres according to the Quality System process.